Primark are having a moment right now with their beauty range, the range has a great selection of products for different skin tones, types and different products. The PS…Pro Longwear Mineralized Foundation has really caught my attention. 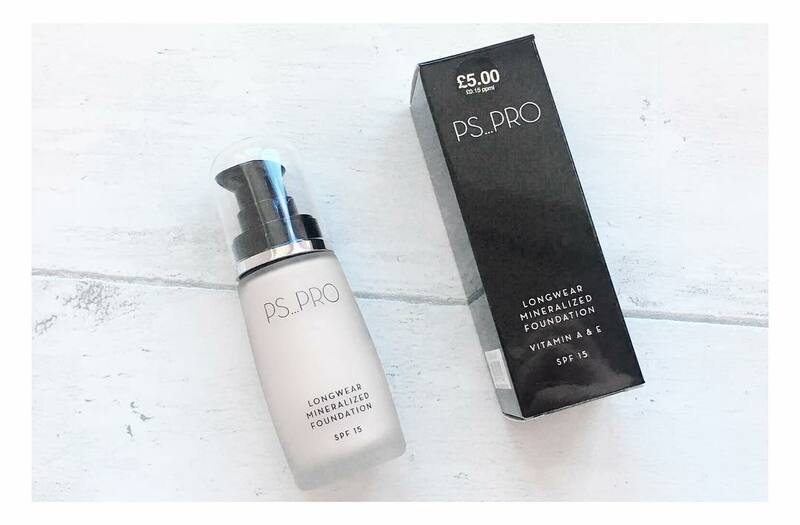 Priced at an affordable £5, the PS…Pro Foundation is housed in a sleek glass bottle with a handy black pump. The shade porcelain is perfect for my pale complexion and I find I don’t need to lighten it with NYX’s Foundation Mixer in White. The consistency is quite thick but it blends out effortlessly. My preferred application is the Real Techniques Miracle Complexion sponge. The coverage is medium-to-full and it’s definitely buildable. It looks flawless on the skin and easily lasts over eight hours, I probably wear mine from 6.30am until 8.00pm and it looks great, with a little shine creeping through. It does resemble Estee Lauder Double Wear and that is my holy grail foundation. For £5 it really is worth a try! *I picked up this foundation for £2 the other day!